Riley were talking one day about Mr.
Riley and his constant drinking. Dugan said, "I have an idea about how to stop him from spending so much time at the pub. Every night he comes home through the cemetery. One night you should get disguised and spook him when he comes staggering through." 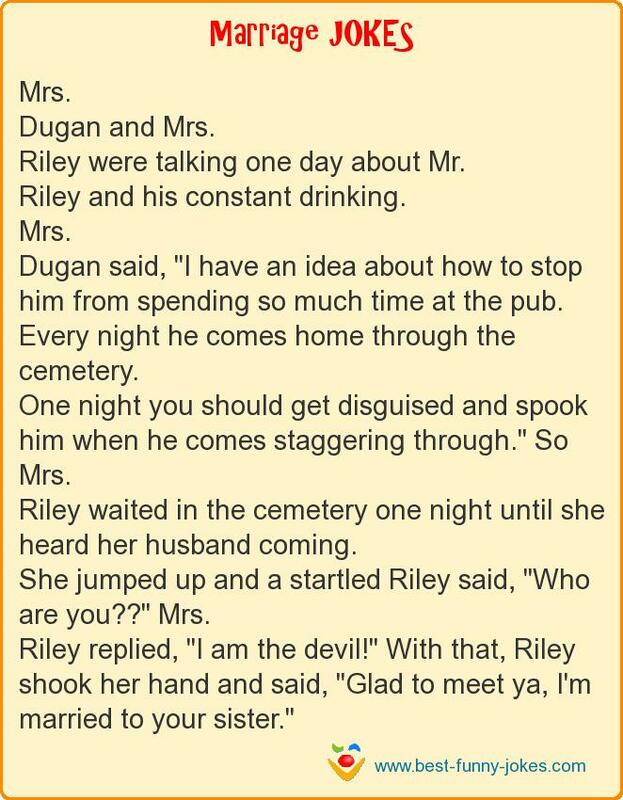 So Mrs.
Riley waited in the cemetery one night until she heard her husband coming. She jumped up and a startled Riley said, "Who are you??" Mrs.
Riley replied, "I am the devil!" With that, Riley shook her hand and said, "Glad to meet ya, I'm married to your sister."